In Print & eBook editions! 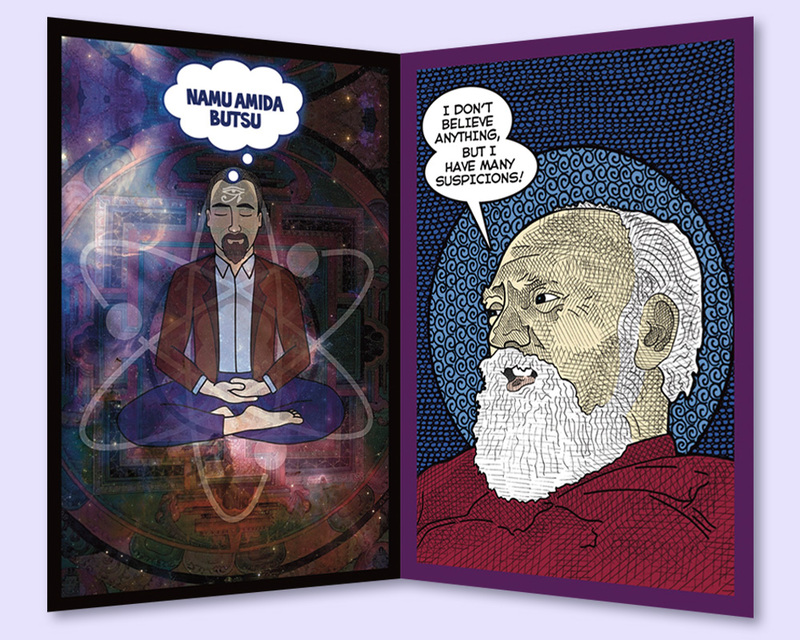 Come take a quick trip through the lives & ideas of Robert Anton Wilson in this illustrated elucidation of sombunal his most illuminating memes and profundities. Visionary cartoonist Bobby Campbell gleefully adapts Wilson’s neurosemantic brilliance into the visual language of the comic book medium in an explosion of non-linear, cosmic, psychedelia. 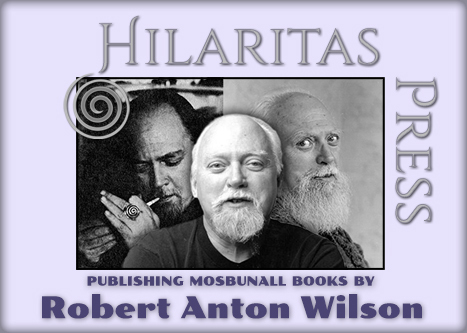 Whether you are a fully initiated Discordian Pope, or a starry eyed seeker of the 23 enigma, this RAW funny book will bring the synchronistic magick of Illuminatus! right where you are sitting now. FNORD! 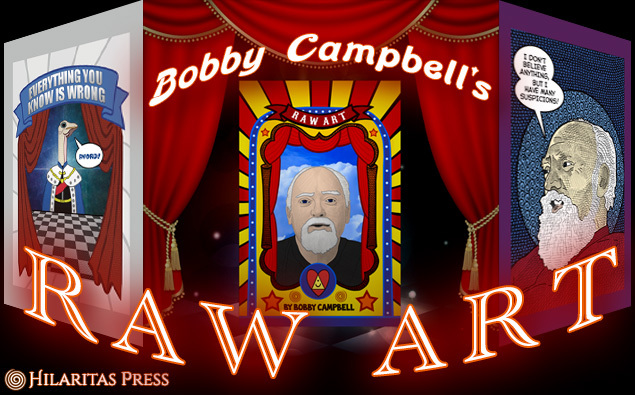 Bobby Campbell is America’s Sweetheart! A visionary writer, artist, and media theorist from Parts Unknown, USA. Known primarily for his work collaborating with countercultural icons and Discordian saints Robert Anton Wilson, Robert Shea, Timothy Leary, Antero Alli, and Douglas Rushkoff, bc is forging ahead with his own unique brand of weirding ways and means. 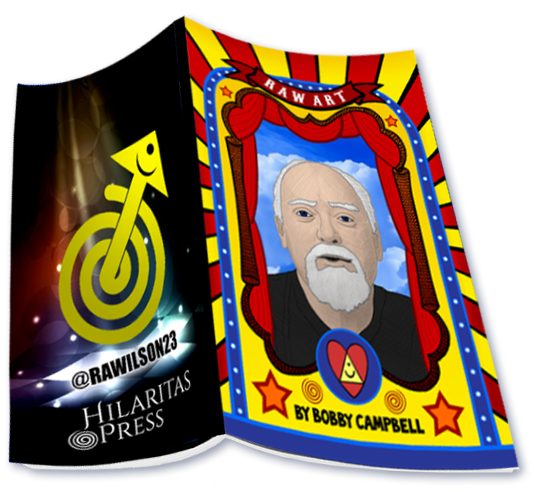 Bobby is the creator & publisher of the Weirdoverse comic book imprint, featuring titles such as Weird Comix, Psychonaut Comix, Agnosis!, BUDDHAFART, REJECTED, Daze of Future Pastime, and the forthcoming psychedelic memoir LIBER JUNGLE.